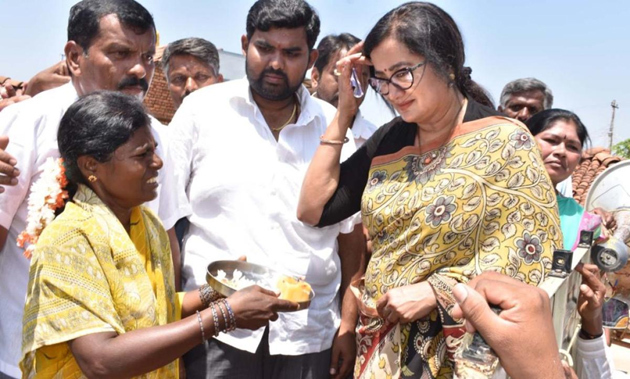 Mandya Lok Sabha Constituency has drawn the attention of people across the nation with Sumalatha contesting as Independent against Karnataka CM HD Kumaraswamy's Son Nikhil Gowda. 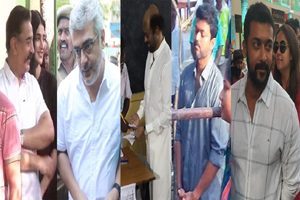 The support for Sumalatha from political parties, film celebs and public kept increasing day-by-day. While campaigning in Karnataka, PM Narendra Modi made comments in favour of Sumalatha. BJP has already withdrawn from contest and extended support to the Senior Actress in Mandya Segment. Even few Congress Leaders has extended support to Sumalatha in a recent meeting. They had voiced their opinion against the Family Politics of JD (S). There is a division within the Congress even though Party Chief Siddaramaiah kept asking partymen to respect alliance dharma of the coalition government. Sumalatha has complained to Election Commission against District Election Officer Manju Sri for allegedly favouring the Ruling Party. Following which, EC replaced Manju Sri with PC Jaffer. CM Kumaraswamy breathed fire on BJP post this development. He accused the national party of conspiring to defeat his Son in Mandya. Ambareesh's Good Will, Sympathy Wave and her Clean Image could help Sumalatha emerge victorious in Mandya. There is every possibility of establishing herself as a powerful leader in Karnataka if Sumalatha wins Mandya MP Seat.